Francis contact me early in the week (seems like he's got the thankless task of calling all of us when we complain...). Told me to try to reset my router, I laughed and said it's a link problem, not a wifi problem. Told me to try to reset my link next. I refused - pointing out that I've tried it too many times already to no effect, and because it's such a PITA to repair everything I wasn't about to do it again. He muttered something about passing this off to the dev engineering team but I haven't heard a thing since despite emailing a reminder. Still no refund, still stuck with product that has never worked properly, still at least one bulb drop per day. Don't hold your breath! Making matters worse is Costco's current sale of the 2-pack mini Smart Plugs. IMO that's going to proliferate the terrible product surprising unsuspecting consumers and the Wemo support staff! At least Costco takes back essentially anything. If you're on the fence with buying these things, suggest you buy 'em there so you can get your money back down the road! It's been a week now since Francis called me. I emailed him last week asking about the next step, he didn't bother to respond. So what does that mean belkin? Is the problem too hard to fix so you'll be ignoring it? Are you going to refuse my request for a refund outright or, as with your harder bugs, hope that I go away? One of your support people claimed belkin was committed to fixing every bug in your products. I assume this no longer true - that when you have difficult bugs you will announce the product as out of production and no longer supported. I wonder what this says about your Homekit bridge which from all accounts appears to be plagued with stability bugs you haven't been able to fix either. Another dead end product? Two more weeks gone by without any further contact or response from belkin. Still no offer of a refund. The link continues to lose bulbs. Bottom line, consider any belkin device you purchase as disposable with a relatively short shelf life. Another week, another week of a still broken set of 5 bulbs and an expensive garden LED set. What a waste of money. Still no contact from belkin's "advanced" support team. I guess it was a bit too complicated for them (not fixed by a reset/reinstall) and they've given up. Still waiting for my refund for a product that is not fit for purpose. Sorry to hear about your problems RainWater. AFAIK there is no way to roll back the firmware. My particular complaint here is that the wemo led bulbs do not and never have stayed reliably connected to the obsolete wemo link. It's not specific to this firmware version, it's never worked properly and keeps getting worse with each update. Generally wemos do work fine with my app (AutomationManager), and there was no need to reconnect any of my wemos after the recent firmware upgrade. If you already have or decide to add AutomationManager to your mix I do provide support (via email) and I can count the number of times I've need to ask a user to reset the wemos and reinstall my app on the fingers of one hand. Wemo says we need to wait for the next firmware version and that firmware cannot be rolled back. When is the next Wemo Firmware Release? MUST GET OFF OF 11057. 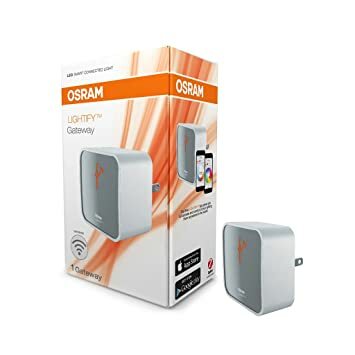 For users in Canada stuck with the wemo link, Lowes has a clearance sale (which perhaps doesn't bode well...) for the OSRAM starter kit (osram gateway and a tunable bulb) at $22cdn - $65 off - plus it's "no tax" week. The first thing it did was upgrade my OSRAM devices to the latest firmware release (unlike the link where belkin never bothered). The gateway was also was able to find link the Wemo LEDs, but unsurprisingly no firmware update for those. I've just added the osram gateway natively to AutomationManager for IoT using a local access API (no web/cloud connection needed after linking the bulbs to the osram gateway) so it appears to be a viable way to save most of your investment if you've gone that route. So far so good. Where the belkin wemo link seemed to struggle with more than two bulbs - losing a bulb a day with 5 devices, the osram gateway is now handling 7 without any problem. 4 bulbs, a gardenspot, a dimmer switch, and 2 wemos. An extra bonus that an osram dimmer switch that I picked up on sale (drastically reduced) a few months ago but could not use because while it would pair to it, the wemo link did not expose any function to support it. It now works well. I do still have a pair of poorly functioning wemo links surplus to my needs - still not fit for purpose . That’s hilarious, since the Osram Gateway is literally the same hardware as the WeMo Link. Belkin’s firmware is just that bad. The funny thing is I seem to have a similar experience lately, but it doesn’t seem to be the Link, just the WeMo app. I have 8 bulbs, 2 gardenspots, and 3 LED strips on my Link. The app pretty regularly loses track of them, yet my HomeBridge is able to see and control them just fine. Mike: Thanks for the AM support on this. I cutover one site to to this OSRAM gateway for my Wemo LEDs and everything is working great. WEMO Bulb discovery and response are top notch and now working through AM. Amazon has gateway for ~$18 USD. I'll be selling the 4 or 5 WEMO links I have.